The Screen Actors Guild Awards nominates actors and acting ensembles in 13 categories across film and TV. Here's a look at the 2015 nominees, starting with the casts nominated for outstanding performance by a cast in a motion picture: "Birdman" (pictured), "Boyhood," "The Grand Budapest Hotel," "The Imitation Game," "The Theory of Everything." Outstanding performance by a male actor in a leading role: Steve Carell, "Foxcatcher" (pictured); Benedict Cumberbatch, "The Imitation Game"; Jake Gyllenhaal,"Nightcrawler"; Michael Keaton, "Birdman"; Eddie Redmayne, "The Theory of Everything." 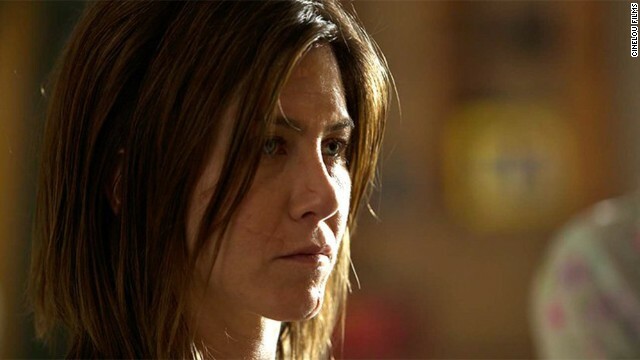 Outstanding performance by a female actor in a leading role: Jennifer Aniston, "Cake" (pictured); Felicity Jones, "The Theory of Everything"; Julianne Moore, "Still Alice"; Rosamund Pike, "Gone Girl"; Reese Witherspoon, "Wild." Outstanding performance by a male actor in a supporting role: Ethan Hawke, "Boyhood" (pictured); Robert Duvall, "The Judge"; Edward Norton, "Birdman"; Mark Ruffalo, "Foxcatcher"; J.K. Simmons, "Whiplash." Outstanding performance by a female actor in a supporting role: Emma Stone, "Birdman" (pictured); Patricia Arquette, "Boyhood"; Keira Knightley, "The Imitation Game"; Meryl Streep, "Into the Woods"; Naomi Watts, "St. Vincent." 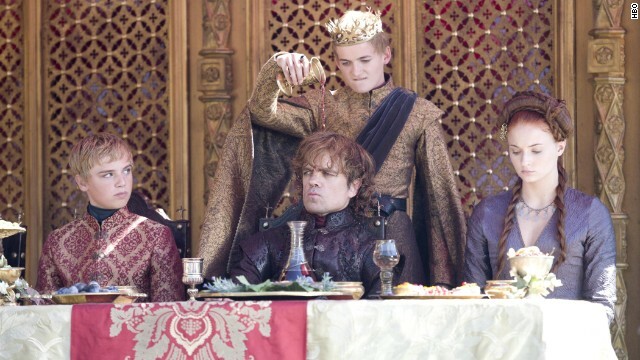 "Game of Thrones" (pictured), "Boardwalk Empire," "Downton Abbey," "Homeland," "House of Cards." 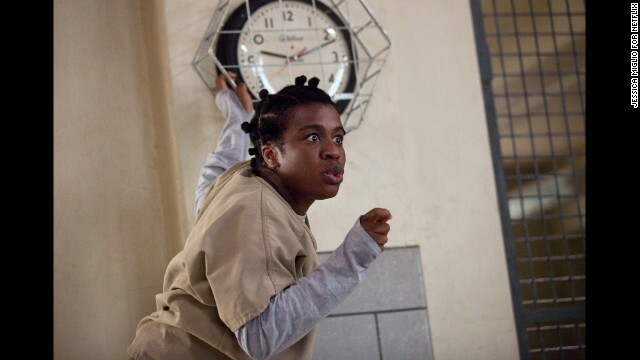 "Orange Is the New Black" (pictured), "Veep," "The Big Bang Theory," "Brooklyn Nine-Nine," "Modern Family." 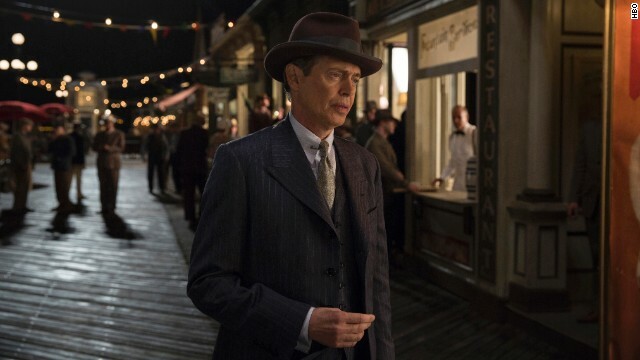 Outstanding performance by a male actor in a drama series: Steve Buscemi, "Boardwalk Empire" (pictured); Peter Dinklage, "Game of Thrones"; Woody Harrelson, "True Detective"; Matthew McConaughey, "True Detective"; Kevin Spacey, "House of Cards." 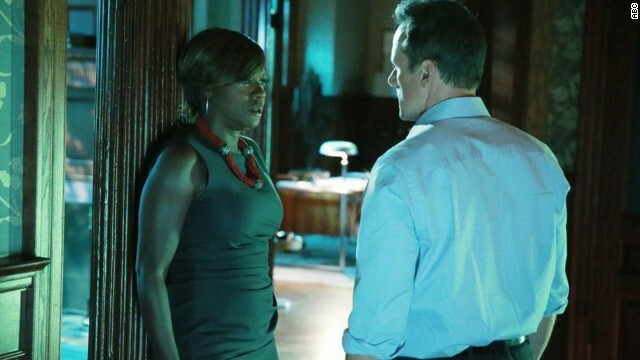 Outstanding performance by a female actor in a drama series: Viola Davis, "How to Get Away with Murder" (pictured); Claire Danes, "Homeland"; Julianna Margulies, "The Good Wife"; Tatiana Maslany, "Orphan Black"; Maggie Smith, "Downton Abbey"; Robin Wright, "House of Cards." 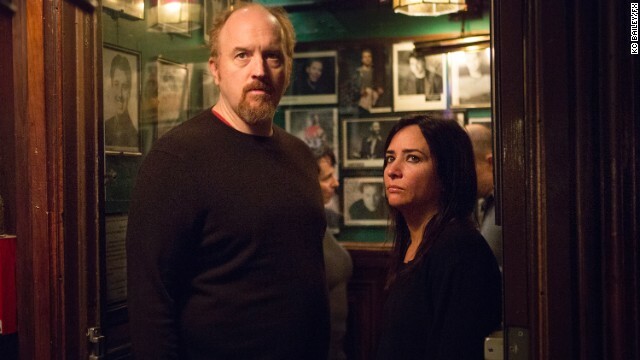 Outstanding performance by a male actor in a comedy series: Louis C.K., "Louie" (pictured); Ty Burrell, "Modern Family"; William H. Macy, "Shameless"; Jim Parsons, "The Big Bang Theory"; Eric Stonestreet, "Modern Family." Outstanding performance by a female actor in a comedy series: Uzo Aduba, "Orange Is the New Black" (pictured); Julie Bowen, "Modern Family"; Edie Falco, "Nurse Jackie"; Julia Louis-Dreyfus, "Veep"; Amy Poehler, "Parks and Recreation." 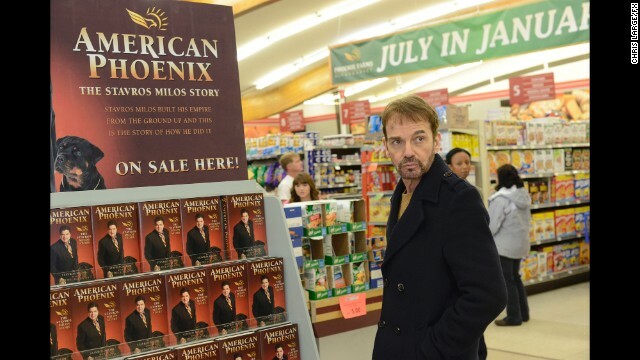 Outstanding performance by a male actor in a television movie or miniseries: Billy Bob Thornton, "Fargo" (pictured); Adrien Brody, "Houdini"; Benedict Cumberbatch, "Sherlock: His Last Vow"; Richard Jenkins, "Olive Kitteridge"; Mark Ruffalo, "The Normal Heart." 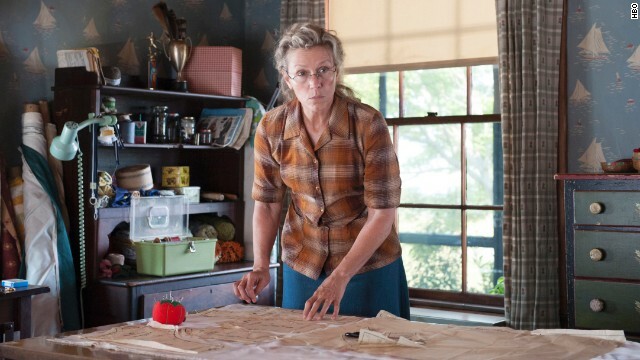 Outstanding performance by a female actor in a television movie or miniseries: Frances McDormand, "Olive Kitteridge" (pictured); Ellen Burstyn, "Flowers in the Attic"; Maggie Gyllenhaal, "The Honorable Woman"; Julia Roberts, "The Normal Heart"; Cicely Tyson, "The Trip to Bountiful." Benedict Cumberbatch gets nominations for "Imitation Game," "Sherlock"
TV shows nominated include "Game of Thrones," "Orange Is the New Black"
(CNN) -- Two movies that pushed limits -- "Boyhood" and "Birdman" -- were among the leaders for the 21st Annual Screen Actors Guild Awards nominations. The nominations were announced Wednesday morning. "Boyhood" was filmed over the course of 12 years and followed its lead, Ellar Coltrane, from the age of 6 through his adolescence. The film, which was nominated for best ensemble -- the SAG Awards' equivalent of Oscar's best picture -- also earned nominations for Ethan Hawke and Patricia Arquette, who play Coltrane's parents. 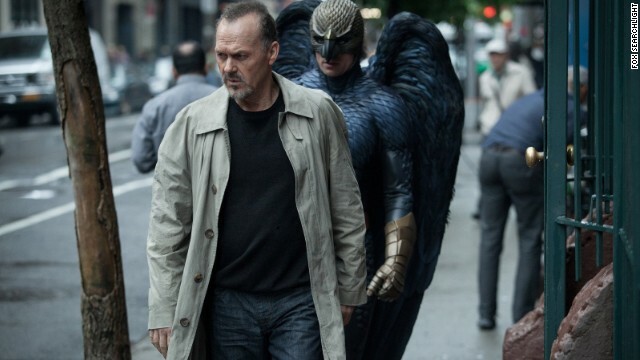 Thanks to some technical wizardry, "Birdman" looks as if it consists of a single shot, showing Michael Keaton as a once high-flying superhero actor who's trying to rebuild his career with a Broadway play. Keaton, who has earned wide praise for his performance, earned a best male actor nomination, Edward Norton received a best supporting male actor nod, and Emma Stone, who plays Keaton's daughter, picked up a nod for best supporting female actor. The film was nominated for best ensemble. One of Stone's fan Twitter accounts picked up on the nomination right away and congratulated her co-stars. "Congrats to Michael Keaton & Edward Norton on their #SAGAwards nominations #BirdmanMovie," tweeted Emma Stone Fan. "The Theory of Everything," a biopic about physicist and mathematician Stephen Hawking, received three nominations. Other nominees for best ensemble include "The Imitation Game" and "The Grand Budapest Hotel." The SAG Awards are closely watched by awards season observers since they provide an early indication of what the performers themselves -- who make up the largest bloc of Academy Award voters -- believe are the top performances of the year. As such, they're noted as much for what didn't make it as for what did. "Selma," the drama about the 1965 civil rights march, was shut out, as was "Unbroken," the Angelina Jolie-directed version of Laura Hillenbrand's bestselling book about prisoner of war Louis Zamperini. On the other hand, the SAG Awards aren't kidding when they highlight ensembles, which may be one reason that Wes Anderson's "The Grand Budapest Hotel" -- a film bursting with colorful cameos -- was included among the best ensemble nominees, though its lead, Ralph Fiennes, didn't get a best male actor nomination. Other films received plaudits for specific performances. Though "Foxcatcher," a drama about troubled heir John du Pont, didn't get an ensemble nomination, both Steve Carell -- who plays du Pont -- and Mark Ruffalo did earn nods for their performances. "Whiplash," about a brutal music instructor and his student, received a nomination for J.K. Simmons' performance as the instructor. Twitterer Lana Walker was already wondering whether Simmons was going to go all the way. "Is there any HOPE for any other supporting actor outside of #JKSimmons for #WhiplashMovie for the Oscar @TheAcademy ???" she tweeted. Is there any HOPE for any other supporting actor outside of #JKSimmons for #WhiplashMovie for the Oscar @TheAcademy ??? Perennial awards frontrunner Meryl Streep did not disappoint, picking up a nomination for her performance as the Witch in "Into the Woods." It was the film's only nomination. Jake Gyllenhaal's creepy performance as a videographer in "Nightcrawler" was also recognized. Benedict Cumberbatch did particularly well in the SAG Awards nominations. Not only is he up in two categories -- best male actor in a film for "The Imitation Game" and best male actor in a miniseries or TV movie for "Sherlock: The Last Vow" -- "The Imitation Game" itself snagged a pick for ensemble. Ruffalo, who was nominated for "Foxcatcher" and TV's "The Normal Heart," pulled off the same trick. Carell was quick to congratulate him. "Congratulations @markruffalo on his two @SAGawards nominations!" he tweeted. Congratulations @markruffalo on his two @SAGawards nominations! And Jennifer Aniston, who hasn't been on many handicappers' sheets, earned a best female actor nomination for her performance in the little-seen "Cake." She plays a woman in a chronic pain support group who looks into the death of a cohort. "This is the best 6:00 a.m. wake up call ever. Words can't describe how blessed I feel to be recognized like this by my peers for this film. What an enormous feeling of joy and gratitude," Aniston said in a statement. The SAG Awards also go out to TV shows, and the list of comedies and dramas won't surprise anybody who watches the Emmys. The nominees for best ensemble in a drama are "Boardwalk Empire," "Downton Abbey," "Game of Thrones," "Homeland" and "House of Cards." The nominees for best ensemble in a comedy are "The Big Bang Theory," "Brooklyn Nine-Nine," "Modern Family," "Orange Is the New Black" and "Veep." Among the television performers earning nominations were Louis C.K. ("Louie"), Edie Falco ("Nurse Jackie"), Amy Poehler ("Parks and Recreation"), Viola Davis ("How to Get Away with Murder") and both leads of "True Detective," Woody Harrelson and Matthew McConaughey. Picking among dramas will be particularly hard, tweeted Adriana Schneider. In a response to a question from CNN's Entertainment account, she said, "awwwww crap three really great shows I love up for the same award." Ansel Elgort and Eva Longoria made the announcement of the nominations Wednesday. The 21st Annual Screen Actors Guild Awards will air on TBS and TNT on January 25. Both TBS and TNT are units of Time Warner, as is CNN.